We’ve taken “team work makes the dream work” to a new level. With three active generations on the farm we are able to combine new and old practices to bring out the best of the region’s fruit. 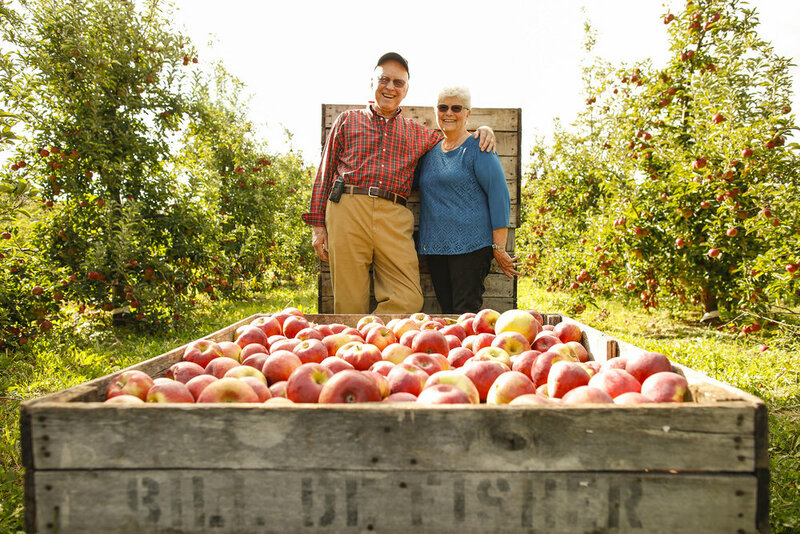 We hand pick the fruit, we work with local vendors, we sell wholesale and juice, we minimize waste through cider and spirit making, and we are proud to be Wayne County, NY fruit farmers. Owning a farm means being willing to work very hard, and being willing to take risks. As farmers, we are at the mercy of the weather every year. We live with this risk because it’s what we love doing, and it’s our family’s work. Our Dutch ancestors specialized in farming on wet land and still to this day our family is farming in a region with rich soil thanks to the proximity of Lake Ontario. Our past is in farming, and through our continued drive for growth, our future is in farming. To help drive the farm into the future we began adding events and products to our list of offerings and focusing on sustainability. Beginning in the 1990s our farm became a Fall destination in Upstate New York. Every year for over twenty years we’ve hosted the Haunted Hayrides of Greater Rochester. Originally started by David DeFisher this seasonal event helped expand the farm’s presence throughout Williamson, Rochester, and the surrounding area. See the complete schedule of haunted hayride events this season and get tickets today! Next came our hand-crafted hard ciders and fruit based spirits allowed us to bring the farm’s produce to store shelves and allowed our customers to experience the fruit in a new light. These initiatives plus our commitment to sustainable practices such as soil enrichment and minimizing chemical sprays lay the foundation for our family and our farm to thrive in the coming years.